The Hurlbut Dunham House in Wethersfield, Connecticut is a stop on an historic house tour. Wethersfield, Connecticut (population 26,271), situated just south of Hartford on the Connecticut River, was founded in 1634, the first English settlement in the state. Early settlers raised livestock and farmed the land; Wethersfield was the only town in Connecticut to cultivate red onions. The 19th century brought some industry to the community, which used windmills and dams to process grain and cloth, manufacture edged tools and run spindles. However, many inhabitants continued to specialize in agriculture, and farms and fields persisted into the 20th century. Wethersfield has the largest Historic District in Connecticut, with 50 houses built before the Revolutionary War; 100 built by the time of the Civil War; and another 150 built shortly thereafter. The town prides itself on being not a re-created village, but the real thing: a living and working community that is deeply devoted to preserving its authentic New England heritage. Its most recent historic preservation project is a major structural overhaul of the Joseph Webb House, built in 1752, and the site of a strategy meeting between General George Washington and Compte de Rochambeau as they planned the final battle of the Revolutionary War. 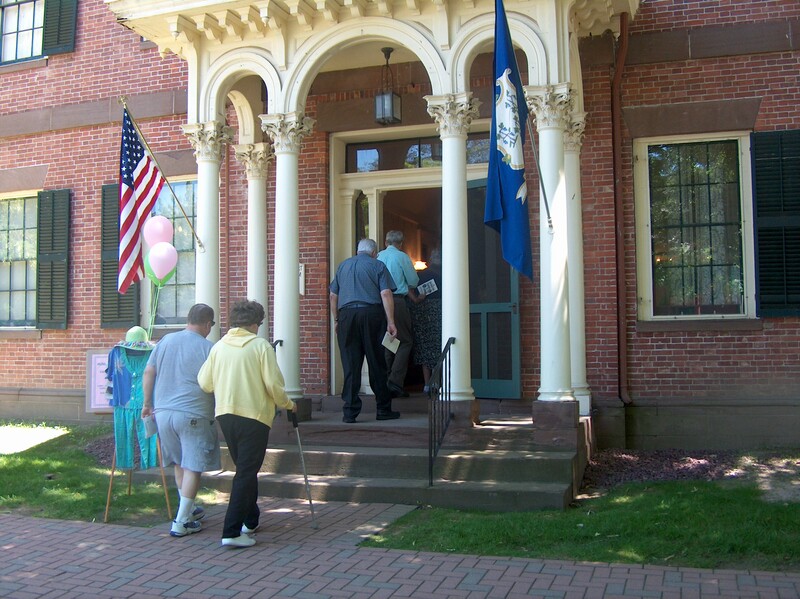 The Wethersfield Museum and Visitors Center offers a permanent exhibit on the history of the town and displays artifacts, photographs, and maps. The Webb-Deane-Stevens Museum includes three 18th century houses, including the Joseph Webb House, the 1866 Silas Deane House, and the 1789 Isaac Stevens House. Visitors to the town can take a historic walking tour, visiting museums, historic homes and gardens, shops, and restaurants.